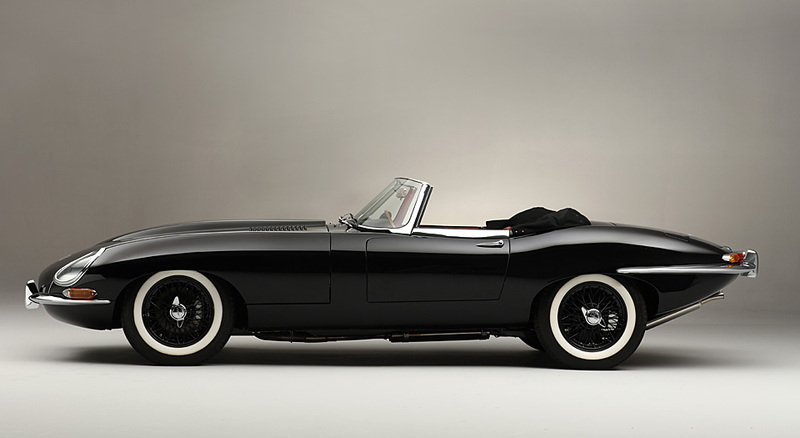 The E Type’s design did indeed owe much to that of the Le Mans-winning D-Type sports racer: a monocoque tub forming the main structure, while a tubular space frame extended forwards to support the engine. 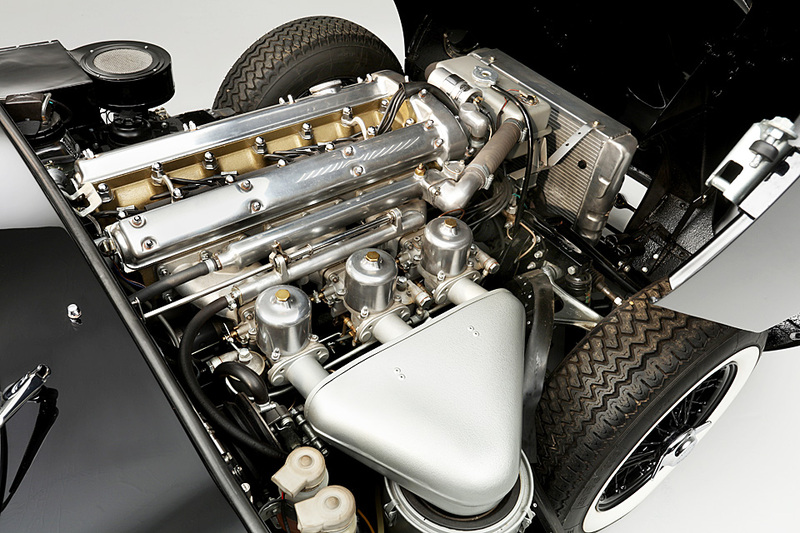 The latter was the same 3.8-litre, triple carburettor ’S’ unit first offered as an option on the preceding XK150. 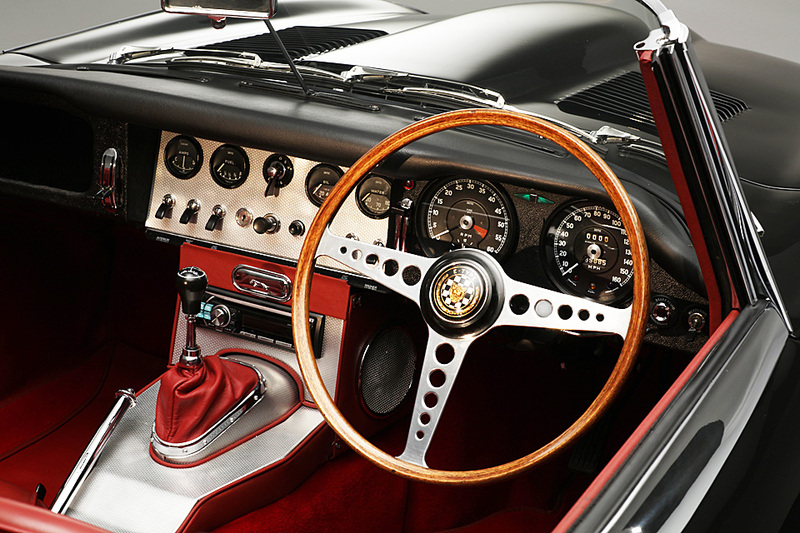 With a claimed 265bhp available, the E-Type’s performance did not disappoint; firstly, because it weighed around 500lbs less than the XK150 and secondly because aerodynamicist Malcolm Sayer used experience gained with the D-Type to create one of the most elegant and efficient shapes ever to grace a motor car. Chassis 850585 was manufactured in August 1962 and registered ‘393 RU’ in September and was delivered to Henlys of London sporting its current livery of Black with Red interior. 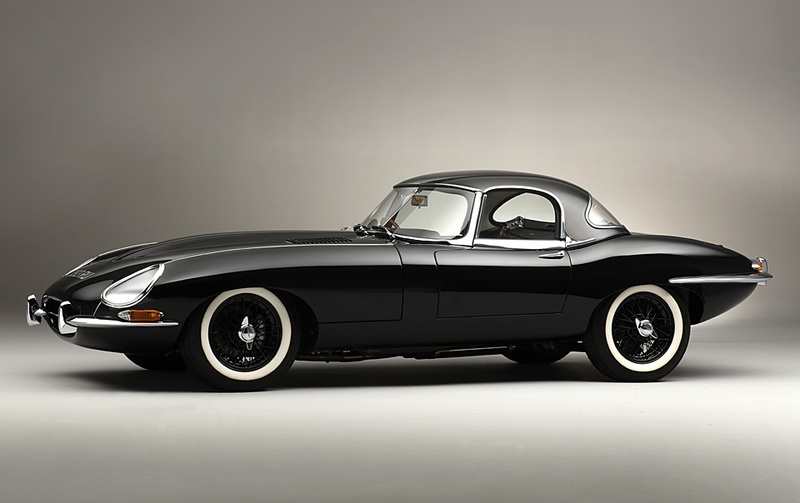 Jaguar only produced 936 ‘Series 1’ 3.8 litre, right-hand drive variants, compared with 6,886 left-hand drive cars. 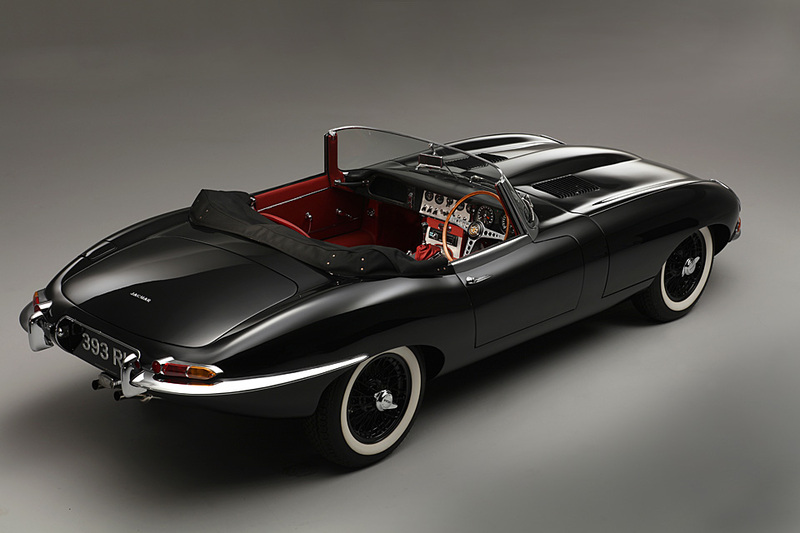 As an early example of the E-Type, this particular car has some features not found on later examples. These include: larger rear drive shafts and wishbones, aluminium centre console section and air-intake assembly box without grooves. It also has the desirable and rare hard top. 393 RU was comprehensively restored by Moorland Classic Cars in Staffordshire during 2012/13. There is a complete photographic record of their meticulous work and Invoices exceeding £ 100,000. 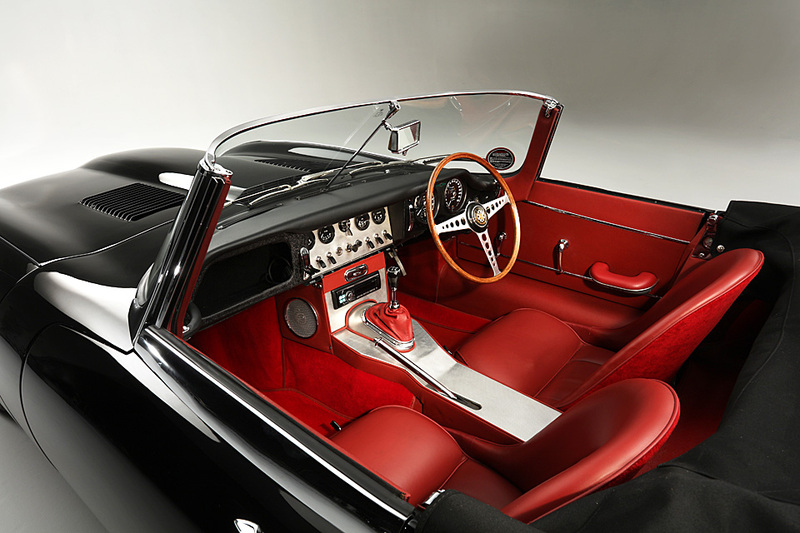 The car has is offered in its original livery of black with red leather and retains its original engine and registration number. The engine has been fully rebuilt, a brand new wiring harness installed, a new mohair hood fitted and the interior re-trimmed using the finest quality materials. 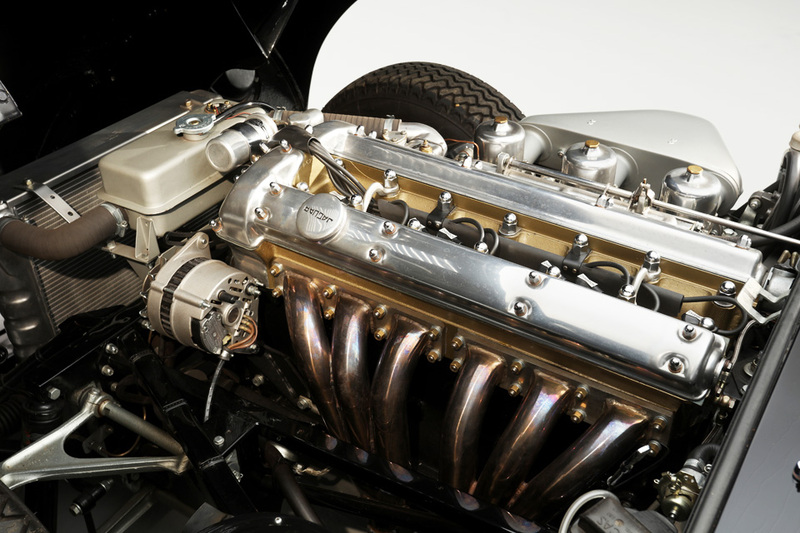 All original components have been restored to the highest possible standard. In addition a number of upgrades were fitted, principally a five-speed gearbox, power steering, competition pattern wheels, vented discs with aluminium 4-pot calipers, , high-efficiency cooling fan, alloy radiator, Koni shock absorbers and a high-torque starter motor. A high out-put generator, electronic ignition and stainless exhaust complete the package.